Biogreen Labs White Kidney Bean Extract Review - Does It Work? Today we review Biogreen Labs White Kidney Bean Extract. 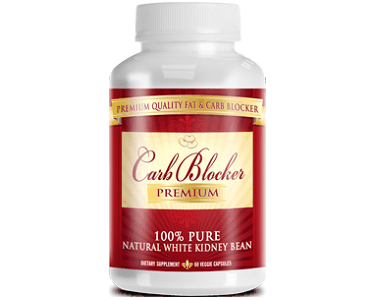 Harvested from organic white kidney beans, this supplement will help block excess carbohydrates from being broken down. When digested, these extra carbs get transformed into glucose, which is then stored as fat in the body. By taking this supplement, you can get help blocking that extra fat storage to help you reach your weight loss goals! 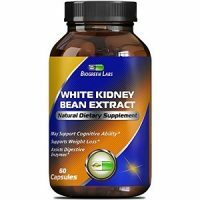 What’s in Biogreen Labs White Kidney Bean Extract? This supplement contains only 1,200 milligrams of White Kidney Bean Extract per capsule. This extract has been shown in some studies to help block the digestion of complex carbs, which in turn can help you lose your unwanted weight. The capsule itself is made from vegetarian cellulose and rice flour, so it is a 100% vegetarian friendly supplement. 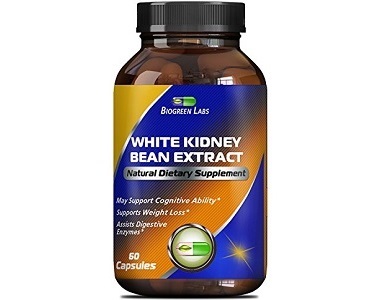 How Do You Use Biogreen Labs White Kidney Bean Extract? The manufacturer suggests taking 2 capsules once daily, with 8 ounces of water. It is not specified whether the dose should be taken in the morning or evening, or if it should be taken with a meal. Most of the studies done have shown that a daily intake of 800-1,000 mg of White Kidney Bean Extract has been shown to be useful. There has been no evidence to date that increasing this dose has any additional effects on weight loss. That makes this dose much higher than the studied dose. Each bottle comes with only 30 capsules. With a daily dose of 2 pills, that makes each bottle contain only a half month supply. Each bottle costs $10.79, and there is currently a promotion available for 15% off of the purchase of two bottles. While this is on the slightly lower end of costs, because the item only lasts for two weeks, it is still not the cheapest carb blocking supplement we have seen on the market. The manufacturer does offer a 30-day money back guarantee. While not much information was available on the guarantee, there was contact information listed on the side of the bottle. The manufacturer’s phone number, address, and website are written on the label. When we went to their website to read more information about the guarantee, there was unfortunately no information available. While we like that the manufacturer does offer the money-back guarantee, it is concerning that there is no available information about it. There are a few things we liked about Biogreen Labs White Kidney Bean Extract. This supplement is made from 100% pure and organic White Kidney Bean Extract. Also, this supplement is only a once daily dose, instead of a twice daily dose, like with other carb blockers. Unfortunately, there are many things that concerned us about this supplement. While the cost is slightly on the lower end, it is only for half a month’s worth of supplements. Each capsule also has quite a lot of white kidney bean extract, even though studies have shown that amounts like that don’t have any additional benefits from a lower dose. Lastly, there was not enough adequate information regarding their money-back guarantee. For these reasons, we cannot recommend this supplement.